Title: Do You | Need It Now? Abstract: "Don't hesitate. 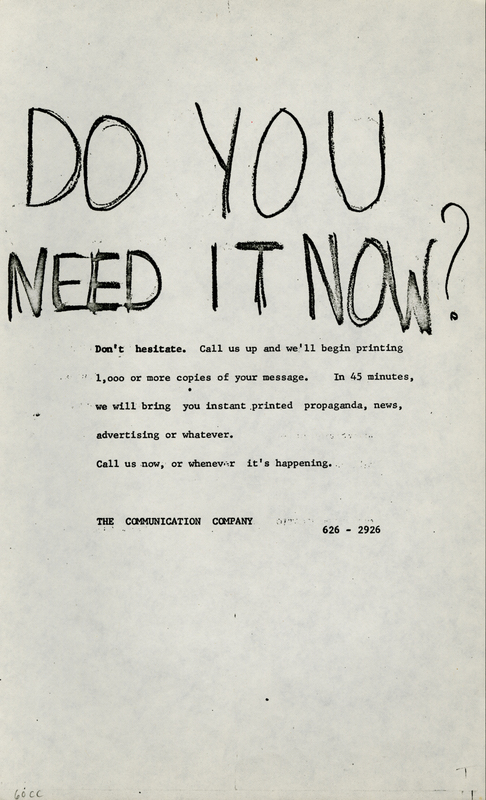 Call us up and we'll begin printing 1,ooo or more copies of your message. 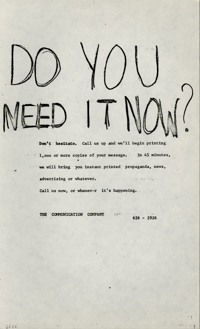 In 45 minutes, we will bring you instant printed propaganda, news, advertising or whatever. Call us now, or whenever it's happening. ..626-2926". Trans Title: DO YOU | NEED IT NOW?